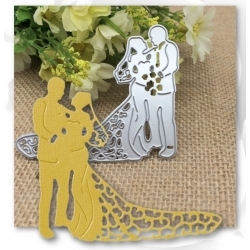 Bring to life your card and craft projects with this fabulous 3D effect product. It’s fun and easy to use, just sprinkle it onto adhesive just like you would glitter to make flowers, foliage, animals and even snow effects. Make your own mini flowers just by dipping Petal Magic wire into glue and then into your favourite Petal Magic colour. 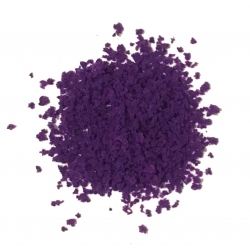 You can even mix colours to create fabulous heather effects. 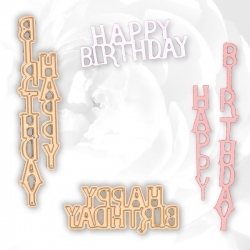 Use it with stamps, card, papers, toppers, decoupage, stickers and more. 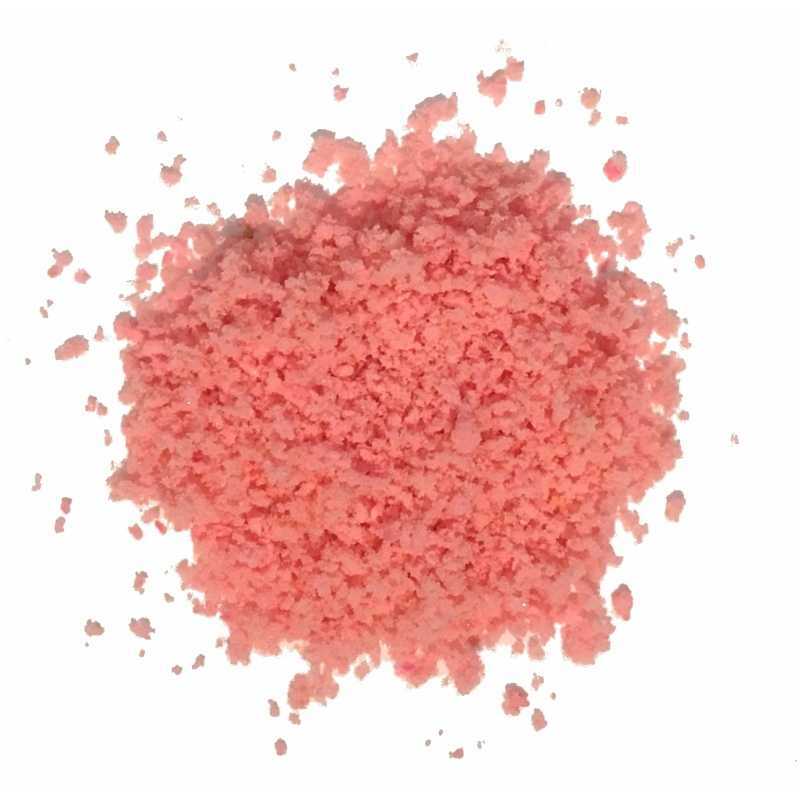 14 gram bag. 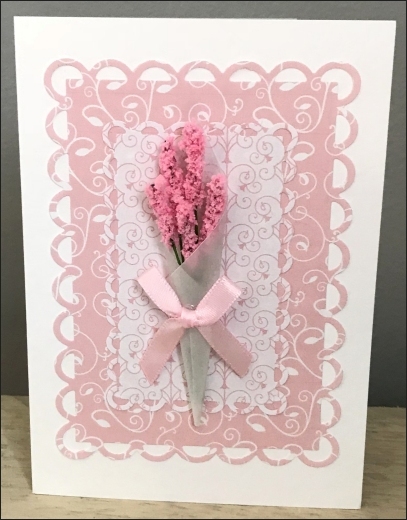 This gorgeous card project is just perfect for a birthday, for Mother's day, get well soon, thinking of you and so many more occasions! 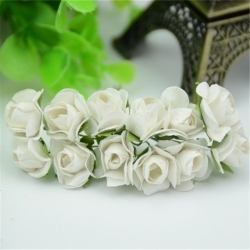 It's simply made using some lovely flowers made with pink Petal Magic and some green wires. Click here for more details. Make your own mini flowers just by dipping Petal Magic wire into glue and then into your favourite Petal Magic colour. 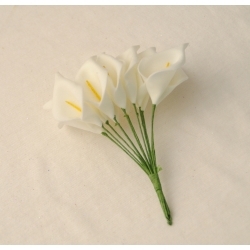 Bunch of 12 foam calla lilies, each one having a 2.5 x 1.5cm head size with a total length of approximately 9cm.Use them individually or together.BUY 12 BUNCHES (144 flowers, same colour) AND SAVE 50%! Create your own fabulous animation cards with this great clear stamp set from Uchi's Design.Each pack contains a set of clear animation stamps and an animation grid which brings the designs to life. 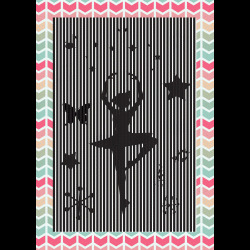 Simply stamp the design, cut the animation grid to fit and you'll create a truly individual card that the recipient will be amazed by!Pack size 20 x 12.5cm. 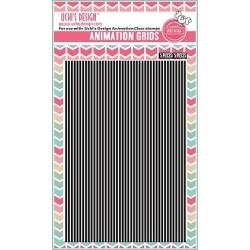 Set of 5 animation grids for use with Uchi's Design clear animation stamps. 15 x 10cm (roughly C6 size). 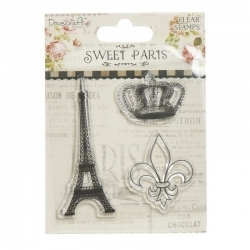 Set of 3 clear stamps from the Dovecraft Sweet Paris range. 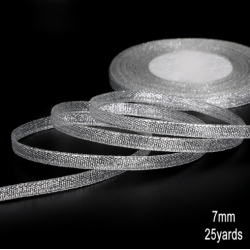 Pack size 14 x 10.5cm. 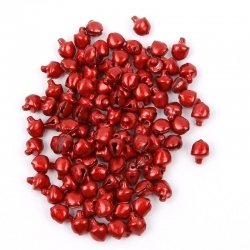 Hear the sound of Santa’s reindeer with these cute 6mm jingle bells. This great value pack of 100 metal bells will be wonderful to use on your crafts and DIY projects this Christmas. 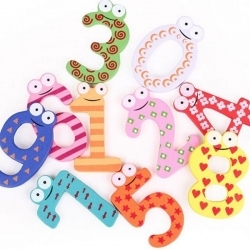 Pack of 10 groovy painted wood numbers, each with a magnet. 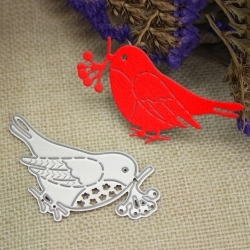 These are great for kids' cards.5.5-6cm tall and 4mm thick. Contains 0-9. 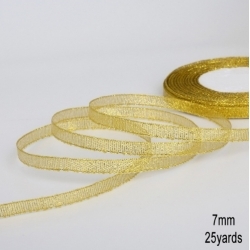 Bring to life your card and craft projects with this fabulous 3D effect product. 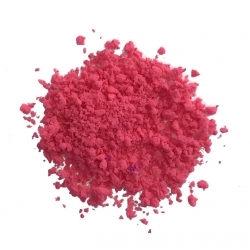 It’s fun and easy to use, just sprinkle it onto adhesive just like you would glitter to make flowers, foliage, animals and even snow effects. Make your own mini flowers just by dipping Petal Magic wire into glue and then into your favourite Petal Magic colour.